My poor mailman delivered the first load of my Amazon lightning sales stuff, so I started wrapping presents tonight. 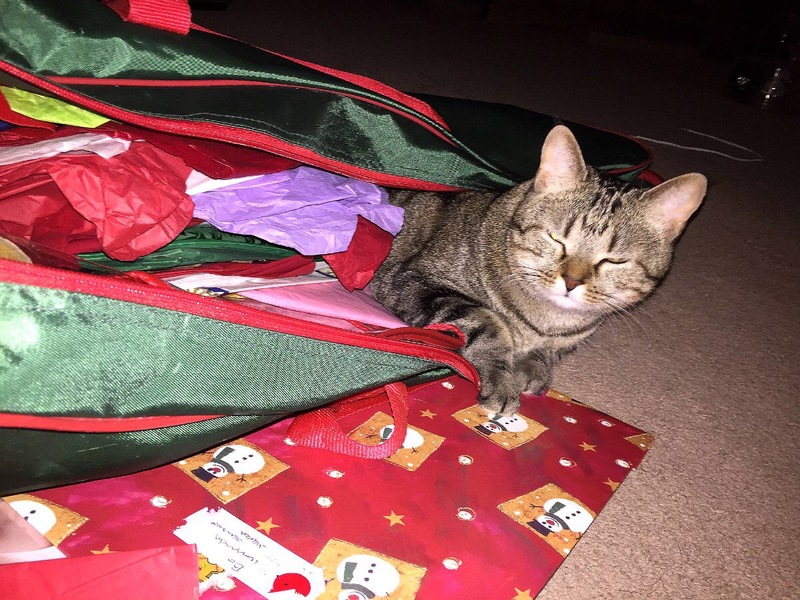 Little Miss Abby got in trouble by smacking the scissors as I cut paper, ripping the wrapping paper itself as well, and decided to dig around in my tissue paper and ribbon organizer (and made a big ole mess of it too! Lol). She acted like queen bee for having “helped”, but she was quite a handful. I couldn’t be angry when I saw where she had settled. The flash made her squint, but she had the cutest, most proud of herself, face at the time and how cute is it that she climbed into the organizer?! 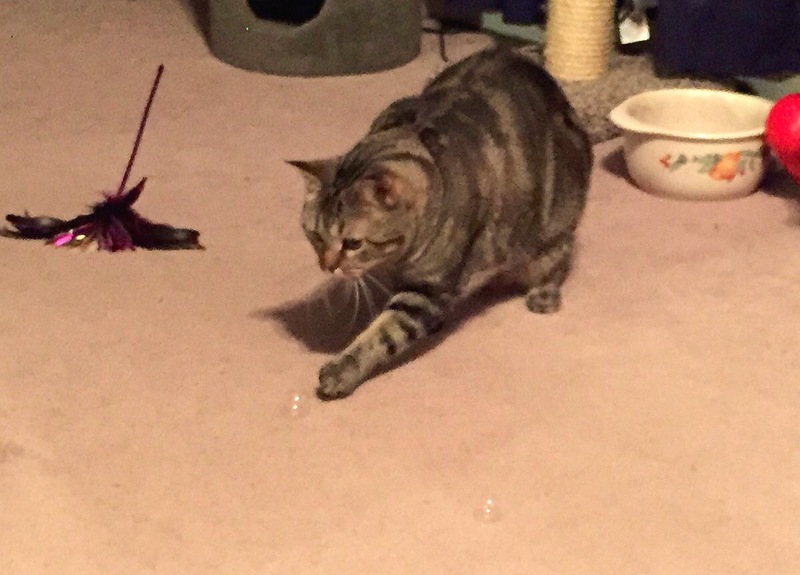 She also got brave and finally smacked one of the catnip bubbles that Larry blew for the fur babies. She’s a holy terror most of the time, but little cute moments like these make it so worth while. By the way, the title is a line from a really old commercial for Shake ‘N Bake. The little girl looked a lot like my mom’s childhood pictures, so I used to say that line to tease her and get her all riled up. *grin* I couldn’t resist it when I thought of Abby helping. Posted in Funny Bits and tagged Cats, NaBloPoMo, Pictures. Bookmark the permalink.